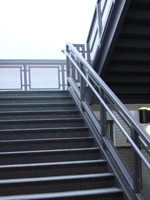 We fabricate and install Stairs and Handrails for Commercial and Industrial applications, Warehouses, Hotels, Parking decks, Schools, Churches and more. 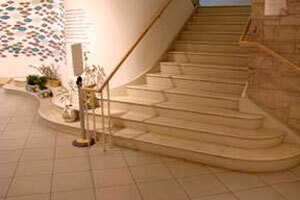 Stairs are fabricated to be rugged and long-lasting. 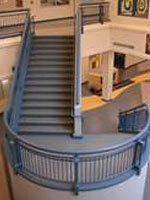 Treads are furnished in checker plate, grating and steel pan materials at any required width. 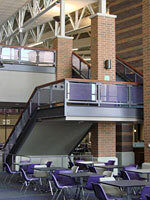 One-piece stringers constructed of steel channel tubes or plate. 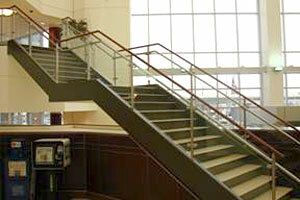 Guardrails are constructed of mesh, glass, perforated plate, metal picket and many more materials. 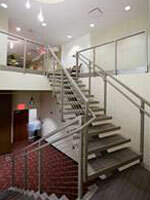 Primarily our fabrication consists of MIG, TIG and Flux Core welding. 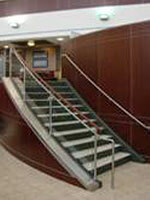 Curving and bending per your design requirements.